Along the way are 10 buildings listed on the National Register of Historic Buildings, 10 National Historic Landmarks, and three homes maintained by the Society for the Preservation of New England Antiquities. You may also take guided tours led by knowledgeable guides. All tours begin and end at the Market Square Kiosk. Tickets are $7.00 for adults, $4.00 for children 8 to 14 years. Under 8 years are free. The Harbour Tour is an excellent activity of which to partake while on holiday in Portsmouth and staying with us at Martin Hill Inn. 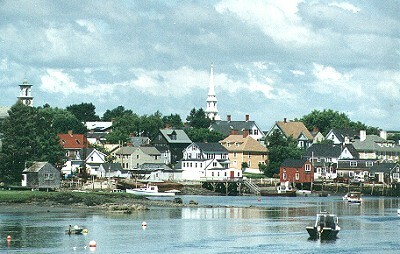 For more activities, also visit www.portsmouthnh.com. This entry was posted in Portsmouth Activities by admin. Bookmark the permalink. Professional photography provided by Jumping Rocks, Inc.